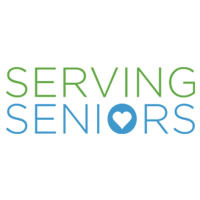 Seniors of all ages and backgrounds find a bright, modern, high-energy, one-stop shop for holistic, wrap around services from nutrition, to wellness, to the Cyber Café – it’s all here. Two daily meals, 7 days a week, 365 days a year draw thousands of seniors through the doors. Many seniors stay for case management, housing assistance, time with nursing staff, and wellness classes. The Gary and Mary West Senior Wellness Center has a Cyber Café for open computer use as well as hands on training with an emphasis in learning about access to medical and health benefits information. A civic engagement program matches seniors with meaningful volunteer opportunities at the Center and within the community. The Lifelong Learning Institute offers classes from crafts and cooking to fitness and photography. “Our vision is to transform the aging experience into something positive and life-fulfilling,” according to Gary West. The innovative building designed to accommodate congregate meals with space for wrap around programs does exactly that and more. Read Shelley Lyford's opinion on why guaranteeing our seniors access to proper nutrition should be a national priority.